This blog has suffered severe neglect in recent months, although my RPG-related activities have continued unabated. 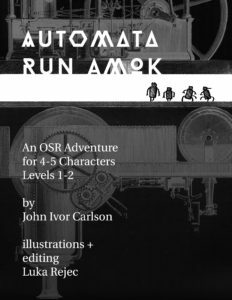 Besides my ongoing first edition campaign (which recently surpassed five hundred hours of play), I have also been working hard on converting some of that game’s early adventures into publications. The first such adventure is the incident at the tinkerer-wizard Talessin’s tower (see the annotated play reports: first session and second session). Out-of-Control automata have driven a wizard from his shop. He would like the PCs to solve the problem (without damaging his creations) while his rival will pay for evidence of the wizard’s dabbling in forbidden knowledge. 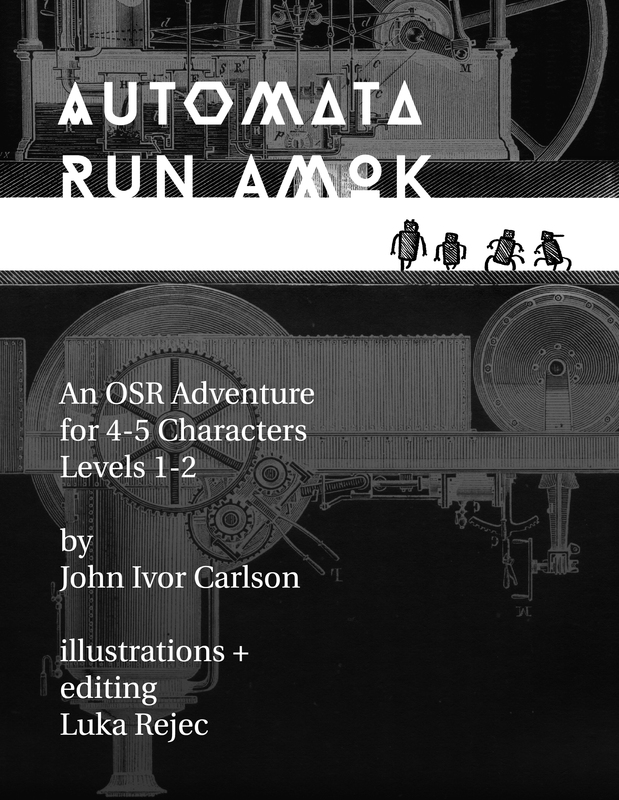 This twenty-page adventure should provide between four and eight hours of Old School fun. Enjoy! Here’s a link to the page to “purchase” and download the module.